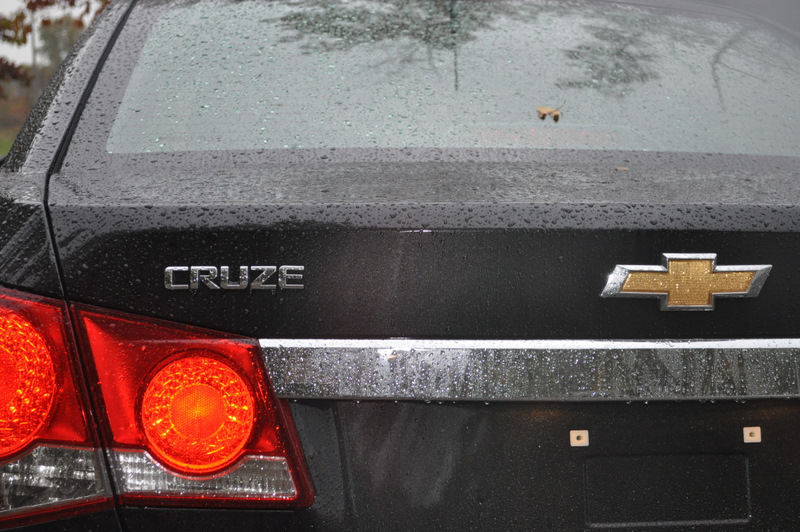 The U.S. launch of the Chevrolet Cruze goes beyond fashionably late. Being available in some countries for nearly two years now, the United States is one of the last in the entire world to actually receive the car. A little backwards if you ask us, considering the U.S. market is by far the largest for General Motors (although China may like to differ). However, it’s better late than never. And it’s a very good thing the Cruze finally made its way here. Despite the Chevy Cruze having existed since early 2009, The General’s American engineers performed extensive work to give the Delta II-based sedan the proper power and quality attributes in order to meet the expectations of U.S. consumers. This included a different rear suspension, Noise-Vibration-Harshness (NVH) reduction, and even aerodynamic improvements (seen in the Eco variant, available soon) that allow the 181-inch long sedan to achieve 40 mpg on the highway. 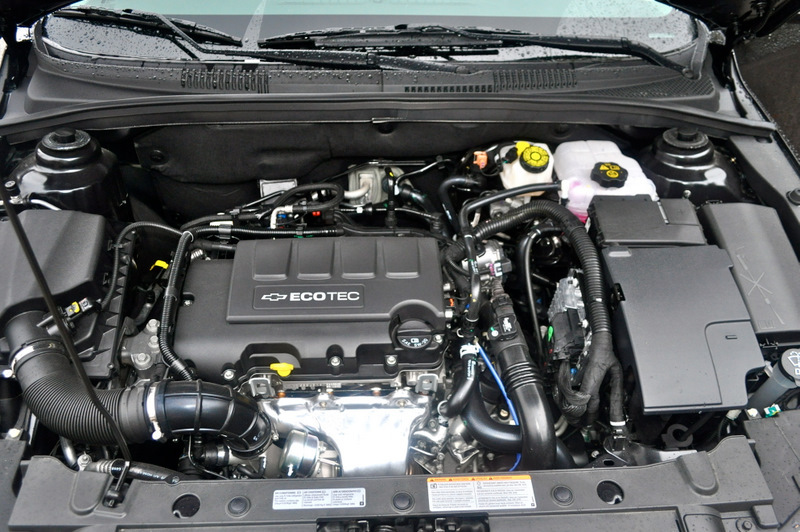 A 1.4L turbocharged ECOTEC engine (that is unavailable in the European market) is the best engine offering for the car, returning 138 hp and a fairly meaty 148 lb.-ft. of torque. It’s mated to a six-speed manual or automatic transmission. That last feature is simply unheard-of for the segment and shows that no corners were cut in the engineering of this car. Couple all of that with the standard safety features including 10 (ten!) 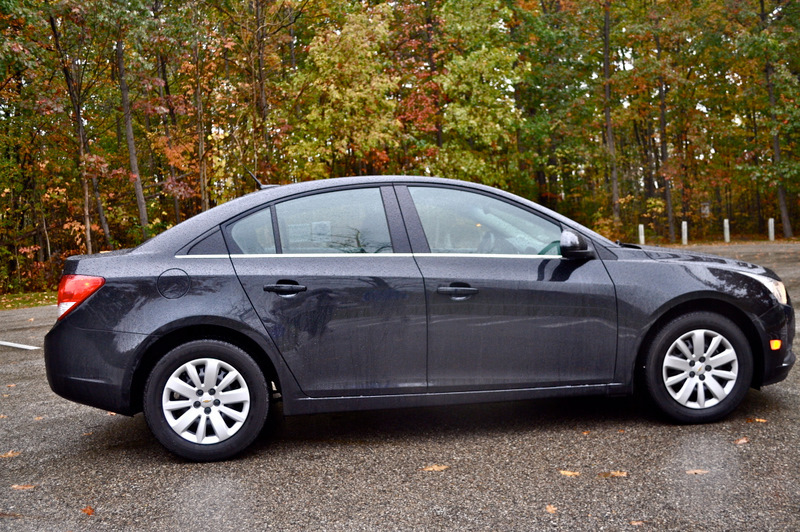 standard airbags as well as OnStar, the Cruze already looks like a class-leader, at least on paper. 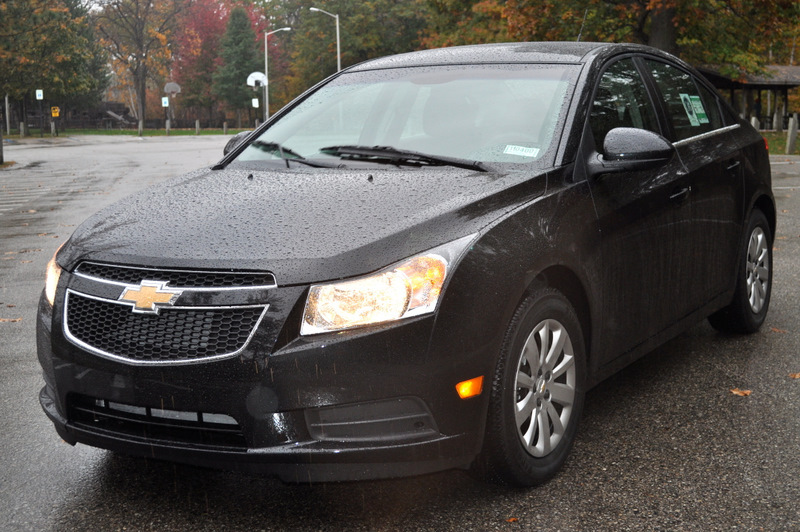 The particular Cruze we drove was a mid-range LT model, costing a total of $19,680 plus a $720 destination charge. Options totaled $1,505 and included a $195 Black Granite Metallic paint job, a $685 1LT Driver Convenience Package, a $525 Connectivity Plus Cruise Package, and a $100 compact spare tire. No leather, no alloys. Yes you read right, a car with a price of over $20,000 and we were riding on steels and hubcaps. Really, GM? We tried not to think about it, instead focusing on pushing the turbocharged four-banger while discovering just what it was capable of. Pop the shifter into manumatic mode and the torque becomes much more apparent. We would even go so far as to say that the Cruze feels just a step behind the V6 Camaro in quickness from a standstill to about 40 mph or so. The pleasant sound the Cruze yelled out in the higher revs while controlling the gear changes made this method a favorite while driving. In fact, it almost fooled us into thinking we could hang with the likes of athletic compacts such as the Honda Civic Si. But then we were reminded of the low rolling resistance tires that protested at nearly any given time with just a hint of spirited driving. But since the Chevy Cruze isn’t aimed at the tuner crowd (not quite yet, at least), it would be unfair for us to judge it as if it were. 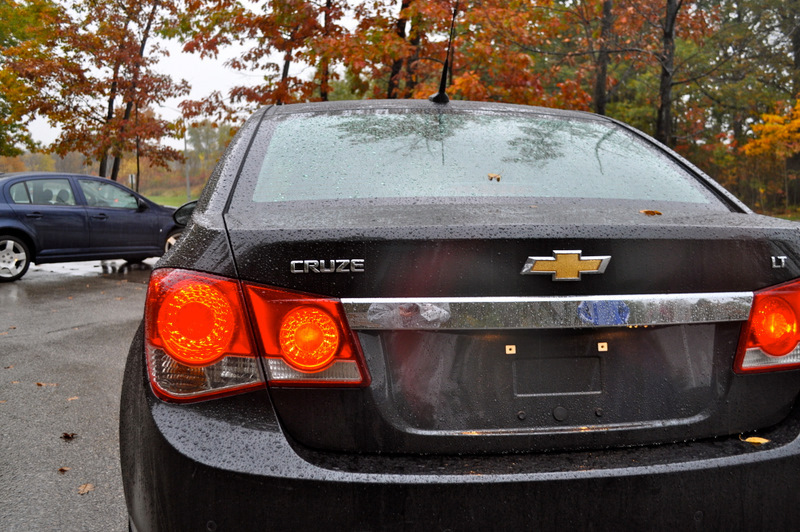 As a mild-mannered daily driver, the Cruze excels. The MacPherson struts in the front and the Watt’s Z-link rear suspension did a great job absorbing the faults in the pavement that are only too common on Michigan roads. 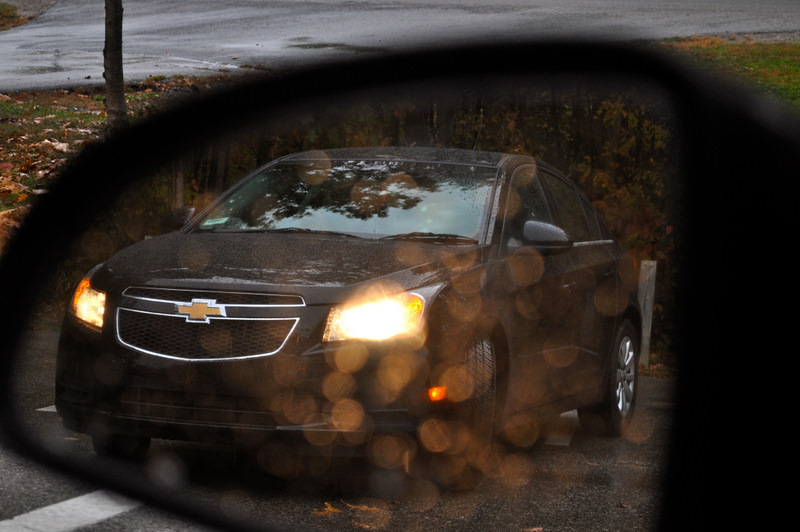 Furthermore, the 35.7 ft. turning circle is comparable to cars up to a foot smaller than the Cruze. 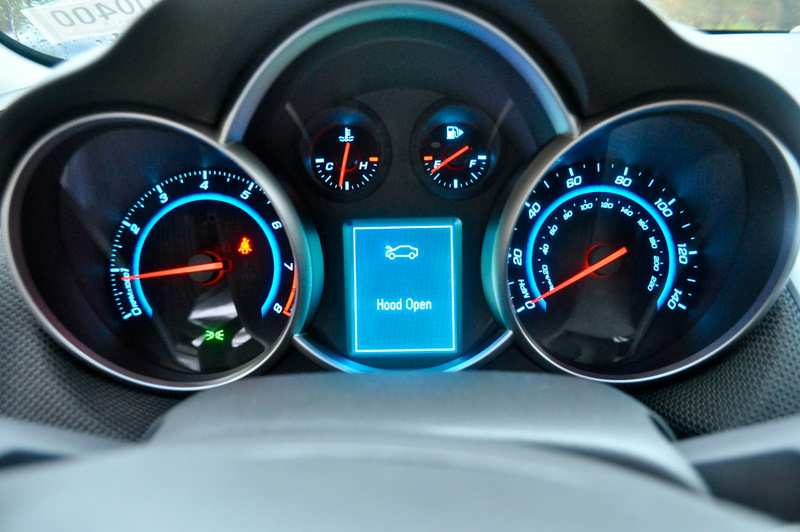 And let’s not forget the fuel economy stats here: with the automatic in place and the 1.4L resting in the engine bay, the Cruze easily achieves 36 mpg on the highway and 24 in the city. If you hold out for the Cruze Eco and its 6-speed manual, the numbers climb even higher, achieving the 40 mpg highway milestone. Sure, other cars in the segment achieve similar numbers, but not with nearly as much bells and whistles as the Cruze. The cabin is very ambient and very modern. The familiar ice-blue lighting seen in several other Chevy (and Buick) models emitted from the center console and driver display while the glossy onyx plastic paneling helped the cabin stand head and shoulders above other cabins in the segment, including the Toyota Corolla or Honda Civic, not to mention a complete 180 from the dull (and discontinued) Chevy Cobalt. 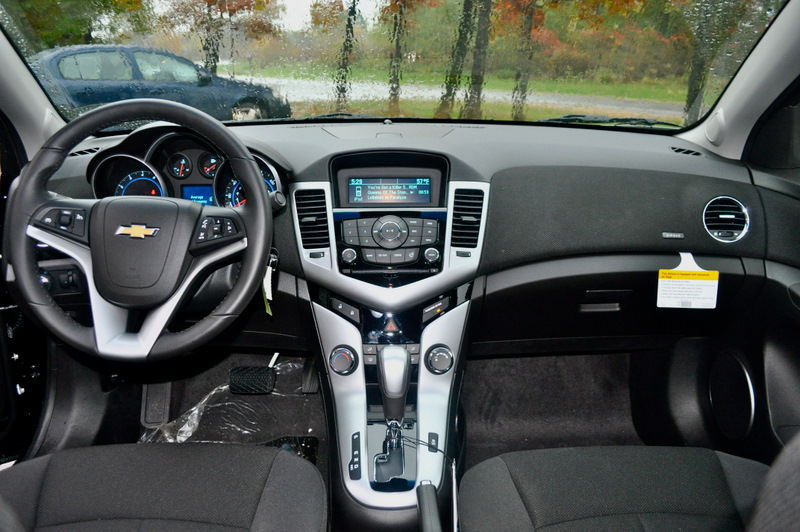 There is virtually no negative space to be seen in the cabin of the Cruze. It’s been a long, long time coming. 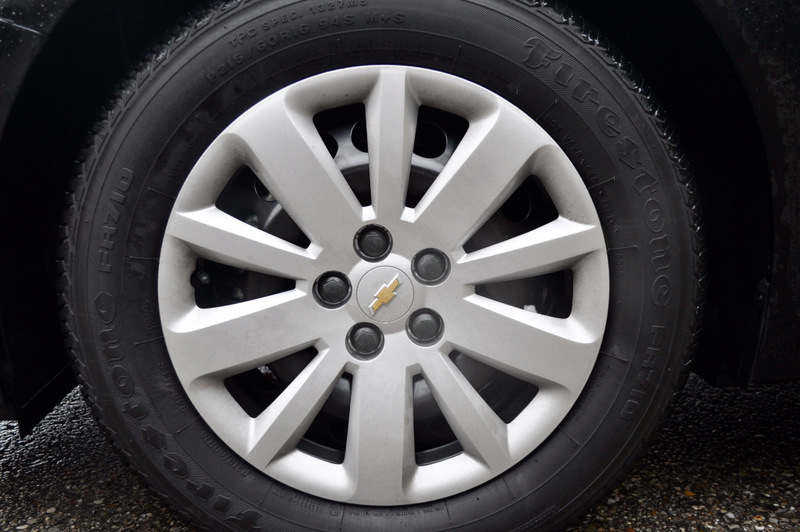 General Motors seems to have finally delivered a compact car worth buying. Nearly everything about this car is that much better than anything else on the market; the Cruze easily sets the new standard in its class. But with the new Toyota Corolla and Ford Focus on the way, just how long will Chevrolet be king of the compact car hill? That question remains to be answered. And even though General Motors has no plans to launch one, we will continue to express our outcry for an SS variant of the Cruze for as long as we have to. And while we’re at it, how about a production date for the Cruze hatch? Special thanks to St. Clair Chevrolet, Buick, GMC for loaning us this amazing car. The preceding review has been conducted and written on a purely unbiased basis. While GM Authority is The Best General Motors Enthusiast Site in the world, we are in no way, shape, or form related to or compensated by General Motors and/or its subsidiaries, affiliates, partners, or otherwise. While we openly admire The General and its products, we also deliver unprejudiced criticism of the company and its vehicles. This review is 100% GM Authority proof. We rock. 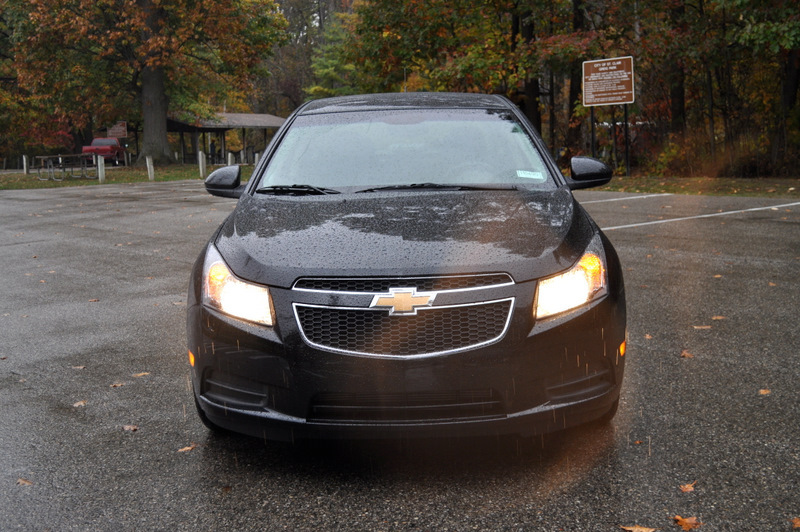 We also had a chance to review the Cruze and, like you, we loved it. Admittedly, we weren’t as nit-picky as you guys were, but given that this is GM vehicle and given the emphasis of your website, i guess you couldn’t help it.